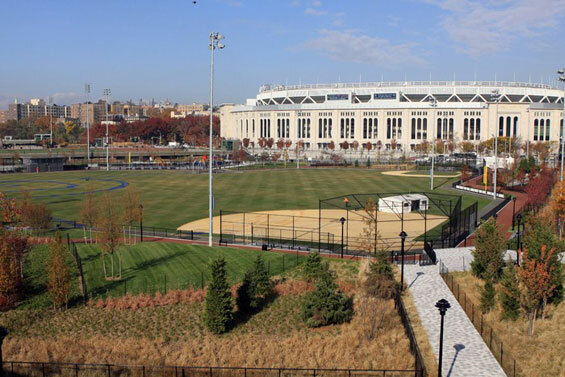 Heritage Field features the highly anticipated community ball fields that now sit in the footprint of the original, demolished Yankee Stadium. Carrying on the site’s Yankee legacy, the historic locale has been dramatically transformed into a new venue for community softball and little league, with a regulation baseball field as its centerpiece. 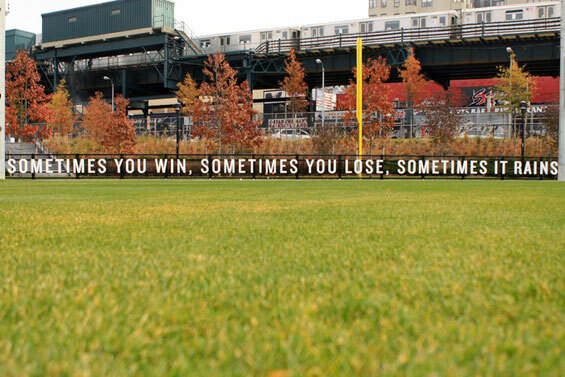 All are natural turf and sit below sidewalk level to provide spectator lawns, dramatic landform and bleachers. 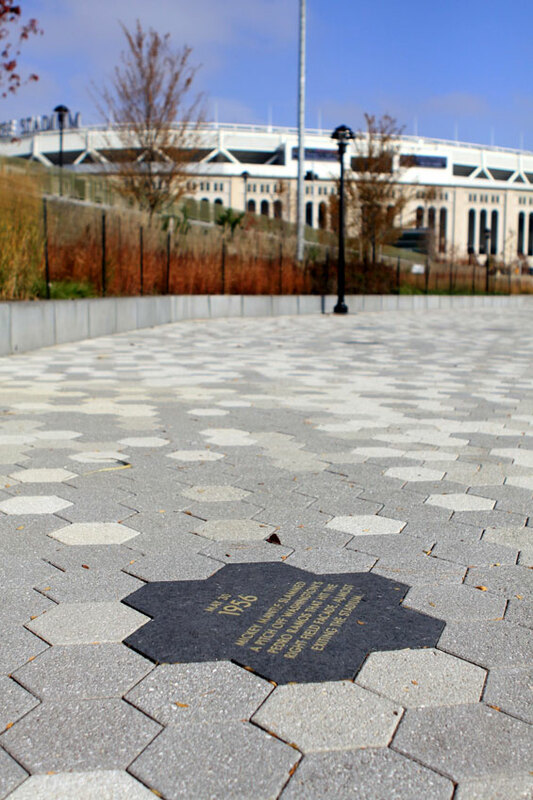 The perimeter of the park, accented by a series of overlooks, a play area, a comfort station, and interpretive amenities, is dedicated to lush plantings of native trees and shrubs, and a pedestrian plaza links Yankee fans and park visitors from a new Metro North commuter station, parking garages and the waterfront to the new stadium and the heart of the park. Heritage Field also incorporates several elements of the site’s past to properly memorialize the long history of The House That Ruth Built. 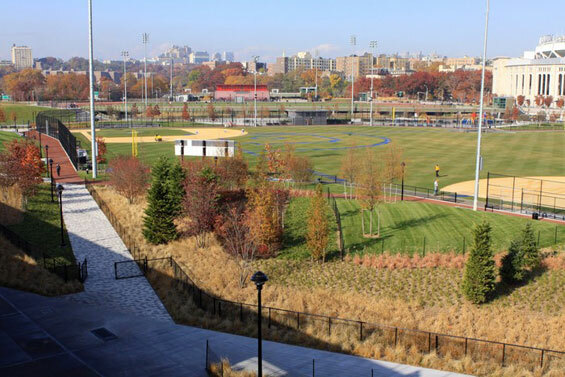 Frieze panels from the original stadium highlight one edge of the park, while the main baseball field features an indelible blue line in the turf to outline the original baseball diamond. 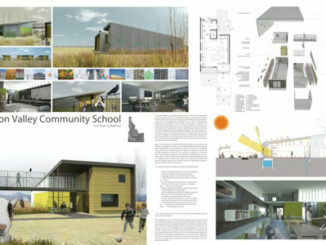 Just last month the project was honored with awards from the New York City Chapters of the American Society of Landscape Architects and the American Council of Engineering Companies.